Life after dark but how much longer? 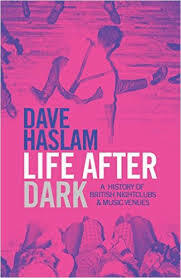 Just as I finished Dave Haslem’s entertaining new book, Life After Dark, A History of British Nightclubs and Music Venues, I read that the UK music venue and nightclub industry is on its knees. Almost half have closed in the last ten years, say the newspapers. Some 3,144 venues offered late night music and dancing in 2005. Now just 1,733 clubs remain. The main causes are said to be Britain’s smoking ban, tighter bureaucracy, fall in alcohol consumption due to increased taxes, lack of policing therefore more complaints from neighbours and the aftermath of the financial crisis. Another reason given is that dating apps like Tinder and Grindr are allowing people to hook-up on line instead of going to nightclubs to pull. So, before it disappears altogether, what better time to take a look at a snapshot of the industry that give us Studio 54 in New York, the Hacienda in Manchester and the Ministry of Sound in London. Highlights from Haslem’s music venue history include partygoers so drugged up at a rave near Maidenhead in 1989 they were ripping the heads off pigeons. 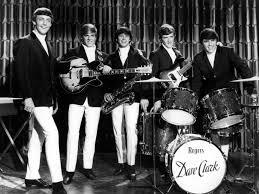 In Coventry, the Locarno dancehall banned DJs from playing Glad All Over by the Dave Clark Five in 1964 because the wooden dance floor couldn’t take 2,000 feet stamping to the chorus in unison. The year before, Bob Dylan had played the Troubadour club in London’s Earls Court, remarking that “the English can do with twist by moving only one leg”. In reality, they were probably Australians doing the one-legged twist because Earls Court was chock full with Aussies in 1963. So much so, Londoners called the neighbourhood ‘Kangeroo valley’. 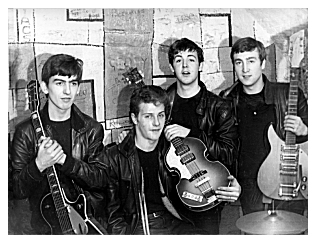 Author Haslem mentions the Cavern Club in Liverpool where the Beatles played nearly 300 times. That was demolished in 1973 and now a replica Cavern stands in its spot, mainly as a tourist attraction. When Dave Haslem last visited, he found a lone singer playing Beatles’ hits to a handful of tourists taking selfies. Many cities, he says, now have giant arenas for visiting superstars but have abandoned the little clubs where local music should be originating. Let’s hope the same things isn’t happening in America. Other nuggets worth mentioning include how Sting first got turned on to music after watching Jimi Hendrix smash his guitar through the plaster ceiling of the A Go Go club in Newcastle in 1967. And how Joan Jett was spewing up in a bucket just before taking the stage at Nottingham’s Rock City in 1982. In London’s 19th century music halls, ‘bare-necked, lightly dressed girls and foreign sailors in various stages of intoxication’ were commonplace. At Soho’s Gargoyle Club, founded in the late 1920s, Henri Matisse, a member, did the interiors. Other patrons included Tallulah Bankhead, Fred Astaire and Noel Coward. 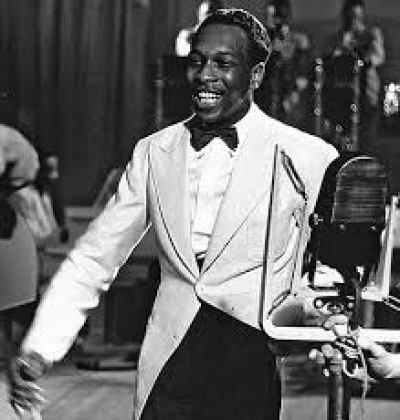 More recently, during WW2, a dancing bandleader from British Guyana had his head blown off during a concert in London in 1941 after a German bomb crashed through to the basement of another Soho nightclub, Café de Paris, where he was performing. His name was Ken Johnson, known as ‘Snakehips’ because of his sensuous dancing style and he was killed during a rendition of the Andrews Sisters ‘Oh, Johnny, Oh, Johnny, Oh’. 34 people died that night. As ever, the band played on.